All accommodation units are air-conditioned and come with either a flat-screen TV. Each unit includes a dining … More » table, as well as a kitchen or a kitchenette. Some units come with a furnished balcony. Free WiFi access is also provided. Apartments for 2-5 persons. The total capacity is up to 8 persons. 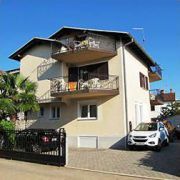 Parking, grill, terrace, 100m from the sea, … More » TV/SAT, bedding, Wi-fi. Apartments in a private house in Novigrad. Capacity 30 beds in 8 apartments. The house is located in the center … More » , on one side you can walk to the sea with many fishing boats, on the other side to the beach. The house is located near the promenade, bike paths and a playground for children. 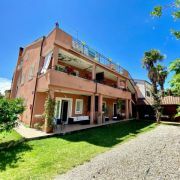 This stone house, built in traditional Istrian style, is located in the centre of picturesque town Novigrad. 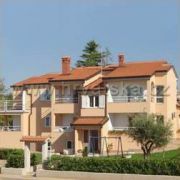 The … More » house is situated just 200 meters from the sea, close to Marina Novigrad and the beach. We look forward to your arrival! 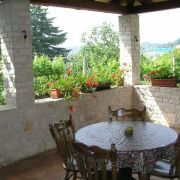 Villa with two separate entrances for 12 persons with sea view.